We first used a digital infrared non-contact thermometer back in 1993 to get some diagnostic insight into the failures we were having in my cold finished mill. 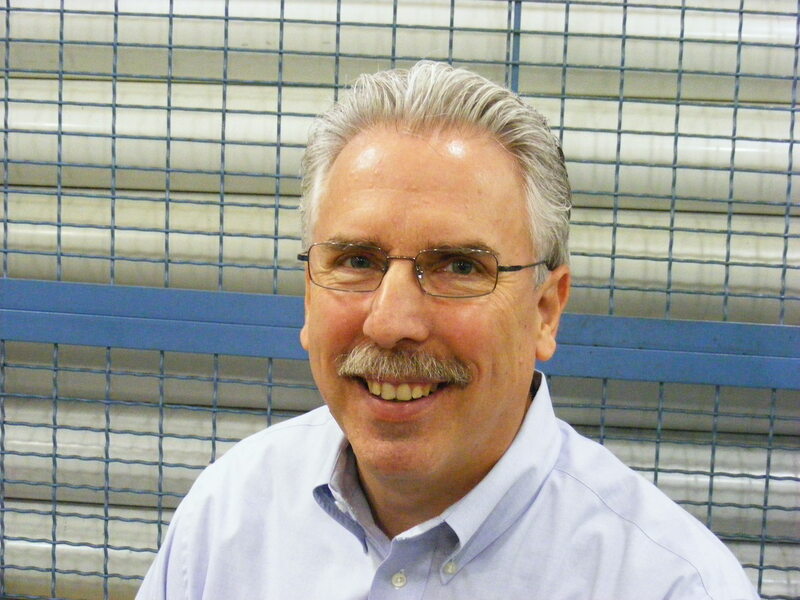 Unscheduled equipment and electrical breakdowns were keeping us from profitability. With this technology we could see mechanical failures developing before they shut us down. When we built the mill in Georgia, the engineers never gave a minute of thought to the operating temperature differences the equipment would have to endure compared to our experiences up North. We just ‘knew‘ our problems were thermal, the failures ‘clustered’ in the summer months. How to prove it? 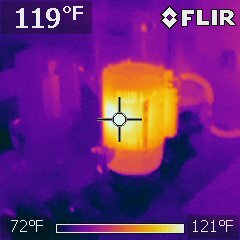 The first bearing we found running hot with our IR thermometer allowed us to plan for a repair rather than lose valuable production time. But when we turned this technology to the electronics controls- that is when we hit the real pay dirt. 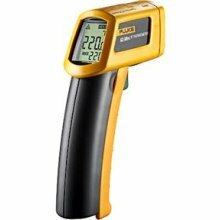 At a $3000 per circuit board and 5 days via air freight from Europe, our IR thermometer helped us justify to the stingy “Just say NO'” bean counters that air conditioned electrical enclosures would pay for themselves by reducing both downtime and unbudgeted expenses to replace failed sensitive electronic components. And they did. The IR thermometer properly deployed helped us finally achieve our business plan. Its much easier to achieve your business plan when your equipment is actually operating. This photo is worth a thousand words to the maintenance team, eh? 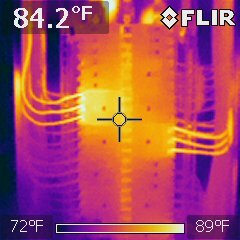 Electrical issues become pretty obvious using infrared imaging- don’t you agree? Why wouldn't you want to know what this technology has to show you? One of my favorite quotes came from one of the Dune series books by Frank Herbert- “Who knows what senses we lack that we might better see the world around us?” the hero asks. Today I can answer that question. I can’t imagine trying to keep a shop running without it. This entry was posted on Friday, April 13th, 2012 at 3:05 am and is filed under Engineering, Front Office, Shop Floor. You can follow any responses to this entry through the RSS 2.0 feed. You can leave a response, or trackback from your own site.